"Intense and gritty drama with numerous subplots and characters." A teenage boy turns up dead in a Washington, D.C., garden, a crime eerily reminiscent of a crime spree that occurred years before. The boy is a friend of detective Gus Ramone, so he takes a special interest in the case. Dan "Doc" Holliday, a former cop forced to retire (partially because of actions by Gus), was an almost witness to this new murder, and he immediately sees similarities between this death and the other garden murders. He goes to the now retired detective, T. C. Cook, who investigated those other deaths and asks for help. 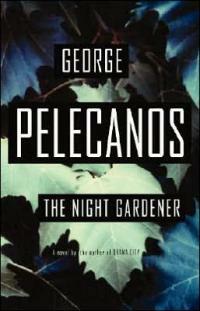 Pelecanos' novels are commonly called "character driven." That translates to intense, gritty emotions spilling from the pages, twining around and drawing hapless readers into the book. With numerous subplots and a variety of characters, this book challenges you to think outside your life to understand how others live, and die. Very well done. The haunting story of three cops � one good, one bad, one broken � and the murder that reunites them in a showdown decades in the making.